Read this article to learn How you can generate your first Facebook Messenger subscribers for free using OPESTA Facebook Messenger Marketing Automation Platform. First of all I must admit that you do not need a lot of subscribers to generate Sales if you are using Facebook messenger and OPESTA messenger Automation. 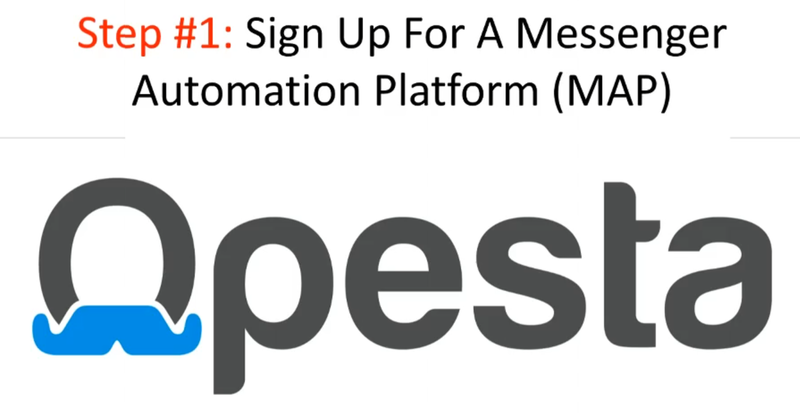 Opesta will allow you to build sequence of messages based of people's actions and desires. We will use our existing assets first - like your email List or Social accounts (Instagram, Pinterest) or blog to start getting our first OPESTA subscribers for free. 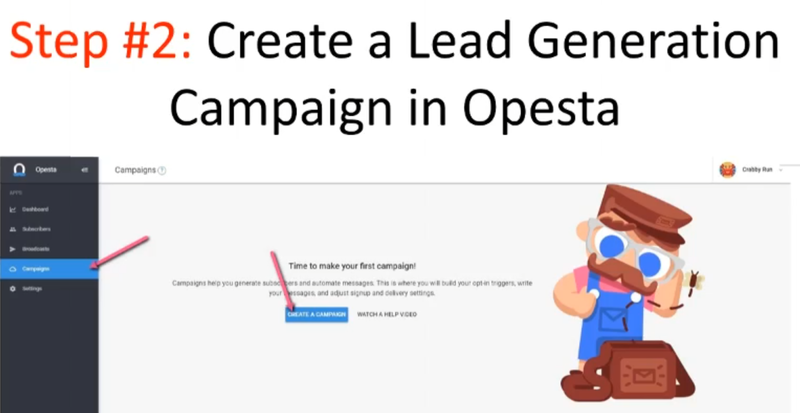 Ok - now when you have registered your OPESTA account we will need to create a lead generation OPESTA campaign. After login to OPESTA we will be able to connect our Facebook page and than we go to Campaigns and create a new campaign. Next we will be able to create a sequence of messages inside of our new campaign. What sequences do is they simply help us to organize our campaign progression. You may think of them as of steps in your regular Sales Funnels. Name it to remind yourself of the source you going to use for generating leads. Like if its your Email list than name this Email Leads Sequence. Now we will need to create an Opt In trigger. Triggers allow you to obtain new subscribers while staying 100 % Facebook compliant. We will start from "Messenger Ref URL" trigger. When you create this trigger OPESTA gives you a URL like you see below. 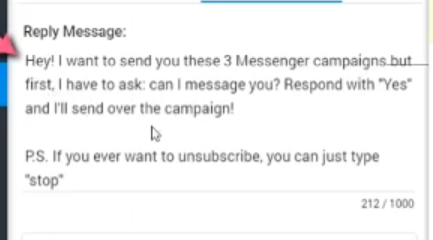 When you send this link for example in a letter to your AWEBER subscribers and when somebody clicks this link it opens Facebook Messenger and it triggers the sequence. This actually allows you to tern that person into a subscriber. So people will be able to click it and it will put them right into Messenger! Another way how to get new free subscribers is using COMMENT TRIGGER. 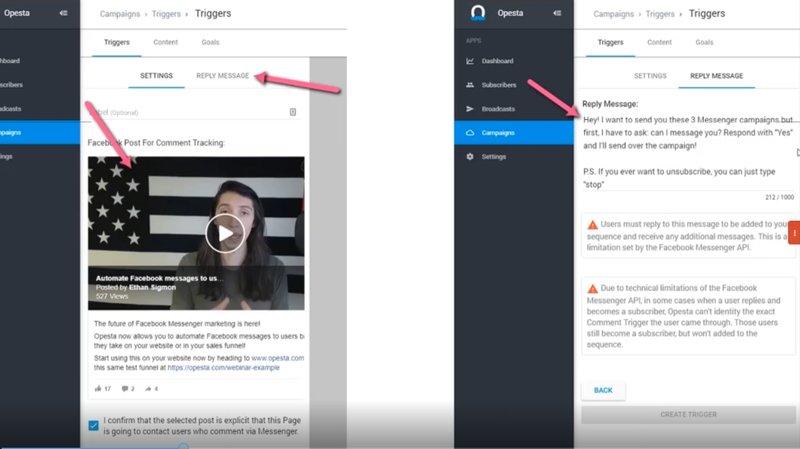 What this trigger does is it allows you to message anybody who comments to your Facebook post from your Facebook page just once - and than if they reply to your message they will than become a subscribers. So you can create this post on your Facebook business page and than you can share it to different Facebook groups...and when people comment on it - it would trigger this for them. As soon as you are ready you can Boost this post or run Facebook Ads and you can get new subscribers for small cost like $0.10 to $0.15 !